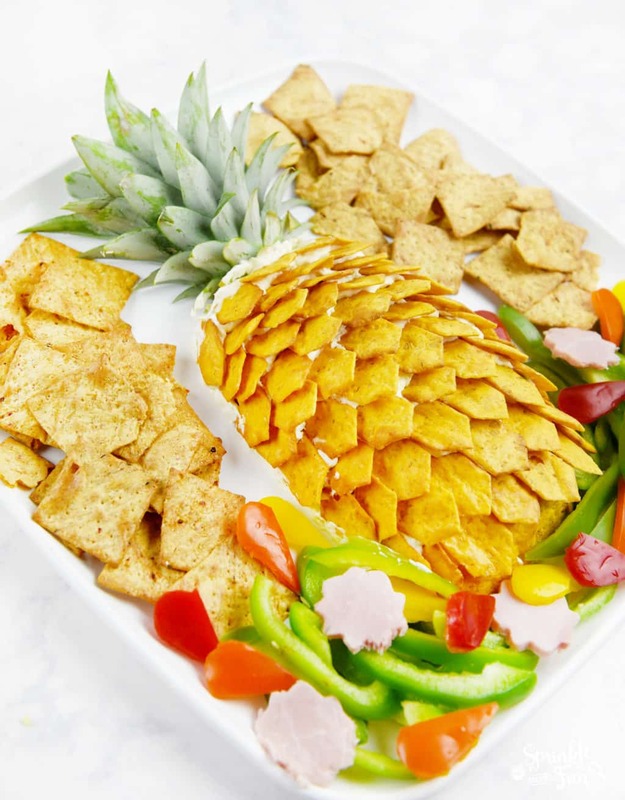 This Pineapple Cheeseball Hawaiian Platter is a sponsored conversation written by me on behalf of Van’s Foods. The opinions and text are all mine. One of my favorite summer memories is when I got to visit my cousin in Hawaii when I was 10. Hawaii was as beautiful as they make it seem in the movies and the ocean water was simply perfect. I remember lots of pineapples on our visit there and I have been a big fan of them since. Tangy, juicy and sweet… pineapples are a perfect summer fruit. 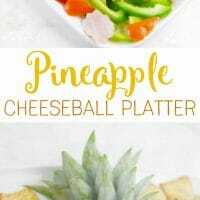 This Pineapple Cheeseball Platter would be perfect to serve for any summer event. 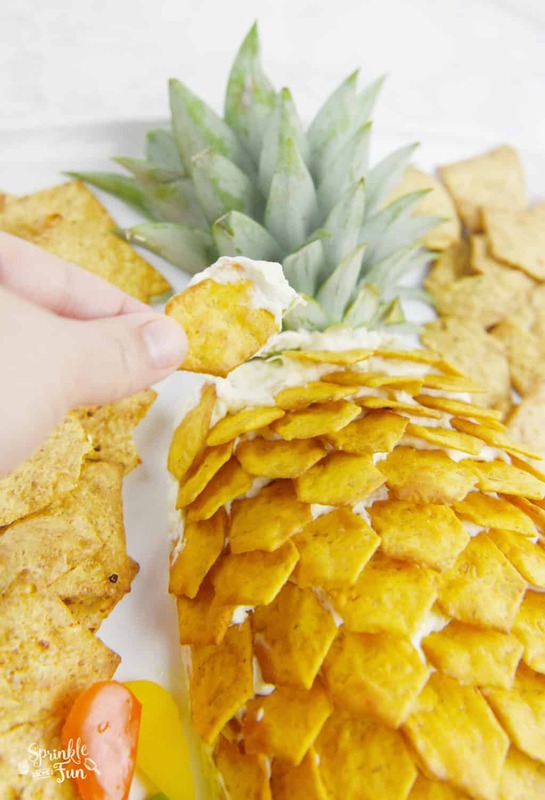 Everyone will love this delicious Hawaiian inspired dip! 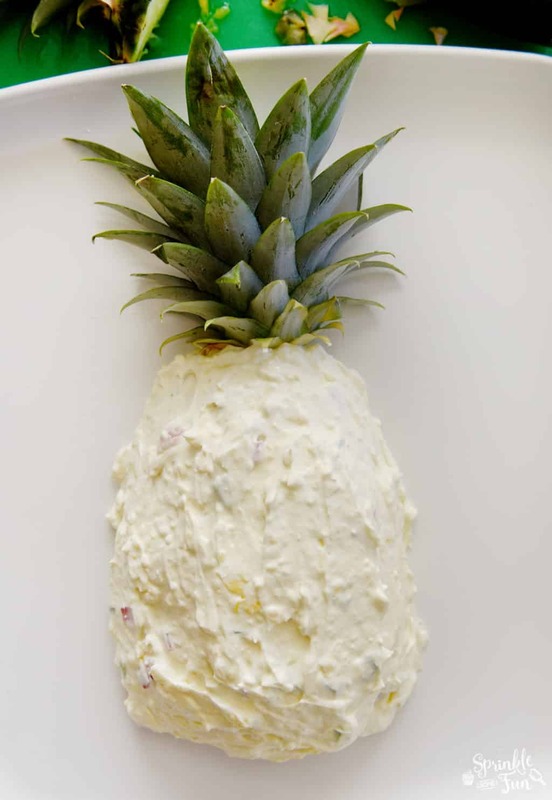 The cream cheese mixture becomes the pineapple and I used a real pineapple top for the leaves. 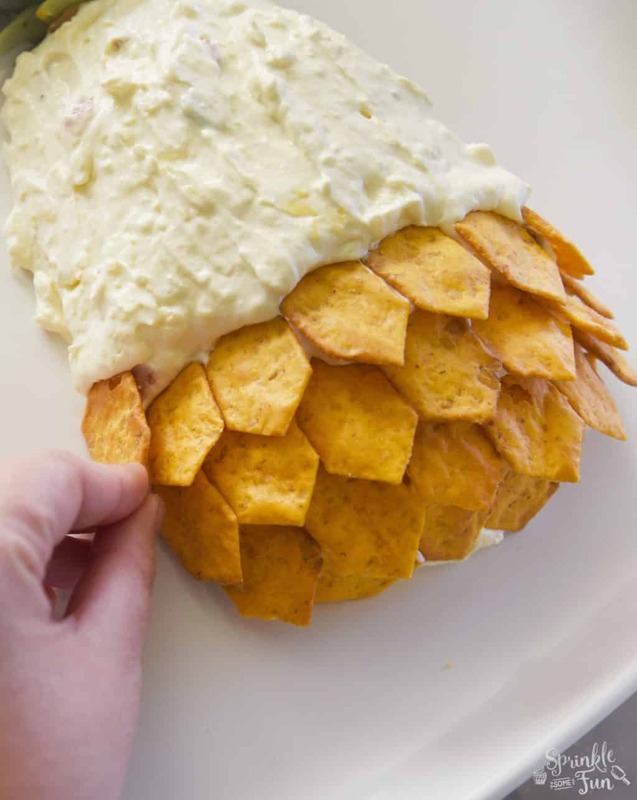 The outside of the pineapple needed a little more than just the cheeseball. Van’s Van’s Simply Delicious Say Cheese gluten free crackers looked perfect as the outer part of the pineapple cheeseball. I love the way that they look with the Van’s Simply Delicious crackers. These crackers also add a delicious taste to the cheeseball. Everyone can just pick a cracker off the pineapple cheeseball! Just press the crackers into rows on the cheeseball right before serving. For the platter I included other Van’s Simply Delicious crackers like the Van’s Simply Delicious Fire Roasted Veggie crackers. 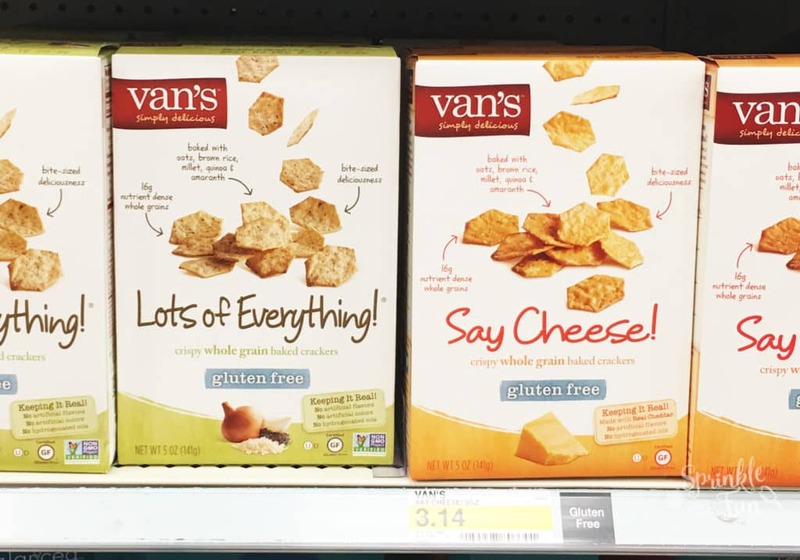 I find the Van’s Simply Delicious crackers at Target and right now they also have a 30% coupon in the Cartwheel app for Van’s Simply Delicious crackers! This platter is a great for parties, but also for healthy summer snacking. We love the Hawaiian inspired taste of this dish! Mix everything except the Van’s Simply Delicious crackers in a medium sized bowl until it's smooth. Spoon the mixture out onto a platter in a pineapple shape. Press Van’s Simply Delicious Say Cheese crackers into the cream cheese mixture in rows starting from the bottom until you reach the top. 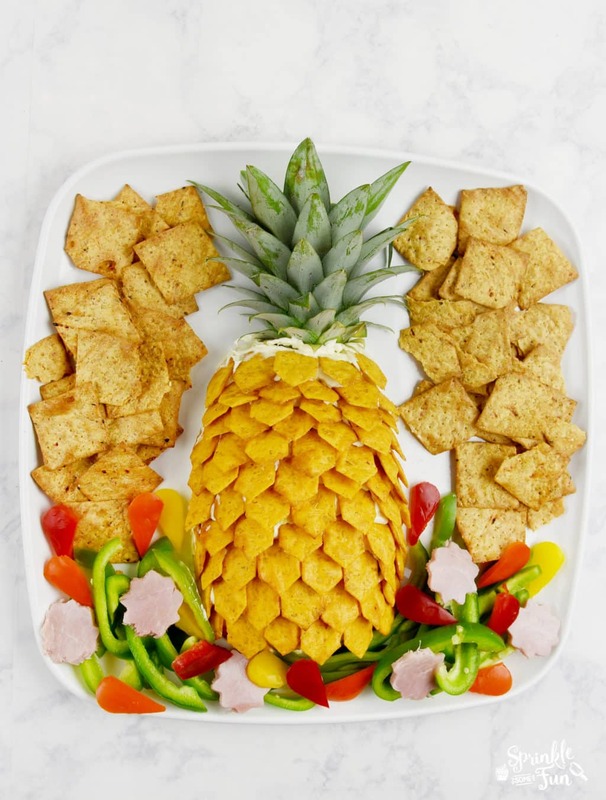 Add the pineapple top and rest of platter ingredients (use any of the suggestions or your own). 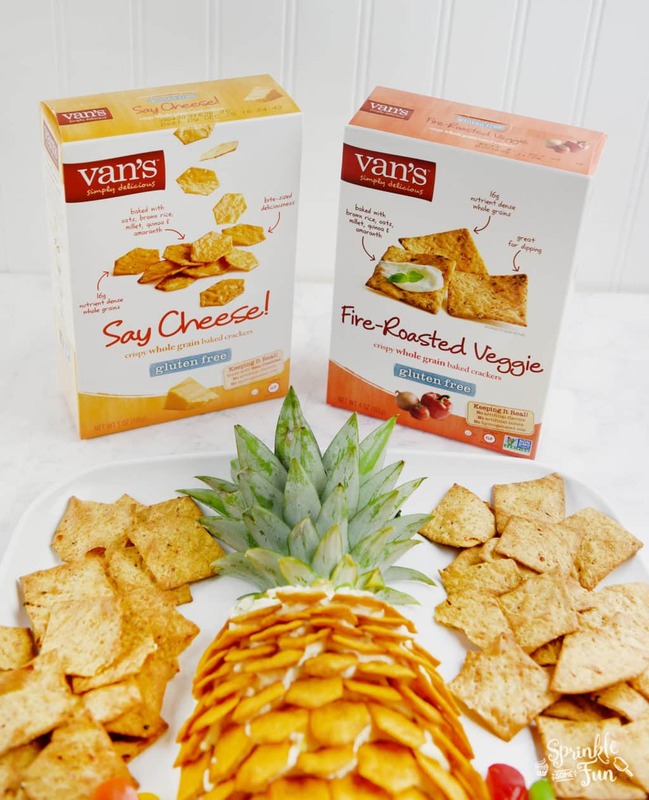 Van’s Simply Delicious Foods Gluten Free, Whole Grain Crackers come in many delicious varieties and they would all work really well with this platter. 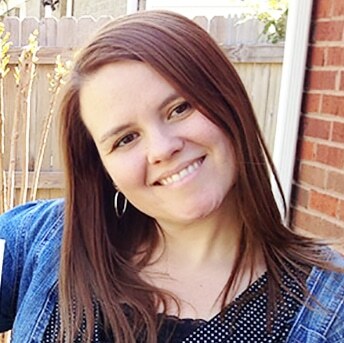 What do you love serving at summer? This one is one of my favorites I am really gonna try it out. However, very good stuff on this website. Keep up the good work.